One of the minor problems I have at the Gathering is putting people’s names with their forum alias and their projects or completed boats. I thought a little more detailed name tag might help the situation. Bruce has agreed to let me do the tags this year and see how it works out. I have in mind something like these. If you are not yet building include your name and alias and tell me what project you are considering and I will include it. If you don’t have a project in mind yet that’s OK, I will just use your name and alias. I probably won’t get a response from everyone and for those I will just do a normal name tag like last year. 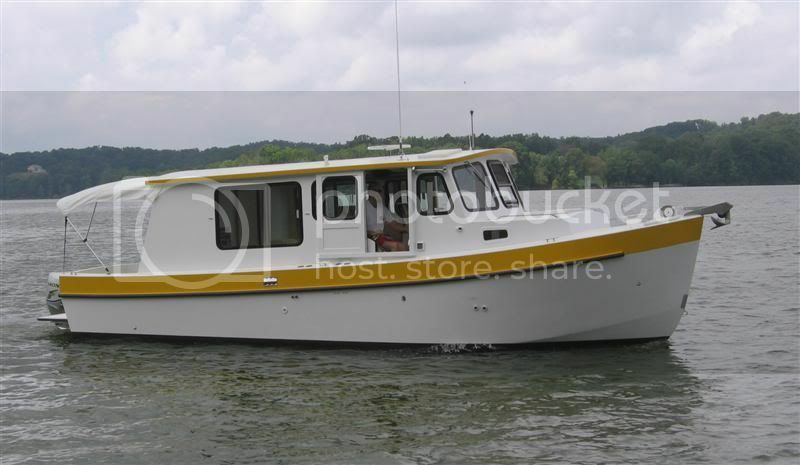 Boat: Riviera named "Midnight Cry" after my favorite song written about one of my favorite bible verses. I will post a recent pic, but would like to post a completed boat pic later, if possible. I'm in a hold right now for paint curing before I can wet sand and buff. Boat: Glen L Zip named "Oliver IV"
FANTASTIC IDEA RAY!!!! Thanks for the effort on this. Boat: Glen-L Zip "First Born"
What a BEAUTIFUL boat! You have done a wonderful job!!! Thanks John!! Can't wait to see it with all the bling on. I'm chompin' on the bit waiting to finish it. Need to wait til next week Friday to start the wetsanding. Ray, I just sent you an email with our and our guests info. Thanks for doing this - your attention to detail is one of the reasons why the Gathering is always so special! Last edited by kens on Fri Aug 19, 2011 7:34 pm, edited 1 time in total. Design: Ken Hankinson Tahoe 19 @ 20'-6"
Last edited by Bob Maskel on Sun Aug 21, 2011 6:28 am, edited 2 times in total. Design: Glen-l Monaco 19'-4" "Sweet Melissa"